For my approach to photography I find that 50mm makes sense for a lens with the greatest capacity for intimacy in an image. 90mm is my go-to for street composition involving large scale geometry and light/shadow play. 21mm is for wide scenes, and an emphasis on scale and perspective. This leaves 50 for portraits and photojournalism where I feel comfortable moving quickly through a crowd, or taking candid shots. Zone focusing is easier than with 90, which needs precision on the rangefinder for spot on focus. Everyone’s use of lenses is different, and some may prefer a 35mm for the kind of photojournalism I just described. 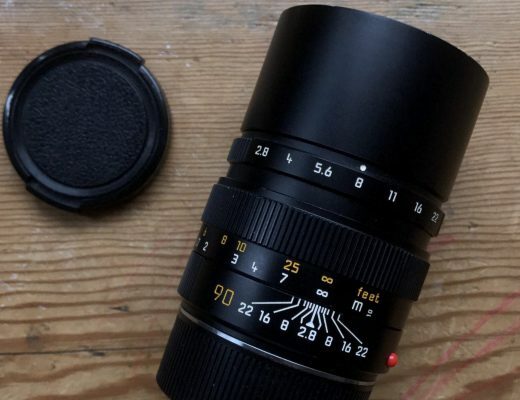 I enjoyed writing my last comparison between two 50mm lenses (here) and thought it could be interesting to continue examining some lenses that can have similar applications and purposes, but with different technical implementations. As 50mm is the focal length I own the most variations of (despite 90mm being my preferred all-rounder) I will be comparing a few different options of those before I’m likely to move onto anything else, so if you already know that 50mm isn’t a focal length you are comfortable with using then you probably won’t find this interesting. My most used 50mm lens, until moderately recently, was the Zeiss C Sonnar (on which I wrote a short piece for Zeiss’ official blog) but I made the decision to switch to the Planar for general professional and personal use. The Jupiter-8 I’ve owned for some time now, and it spends the majority of its time fixed on the front of my Leica CL; together they are a fantastically lightweight setup for all the times I need to go out but don’t want to carry anything heavy or expensive – errands, shopping etc. Comparing these two lenses will be interesting, as although they share similar specifications they are vastly different in usage. The main reason I chose the Zeiss Planar was it’s fantastic reputation. There are some who argue that the Planar rivals the Leica APO Summicron 50mm f/2 in sharpness – and I have to agree. Leica have refined the APO lens design which allows for extreme clarity and colour replication, and likewise Zeiss have perfected the results from their double Gauss design. I find it amazing how two distinct optical formulas can produce such similar images, and as a consumer this kind of market competition is fantastic: the Leica APO comes in at around 6k, and the Zeiss at around £600 (at the time of writing!). There was such a narrow margin of similarity between these two lenses that the Zeiss was the obvious choice, providing 98% the quality at 10% of the cost. 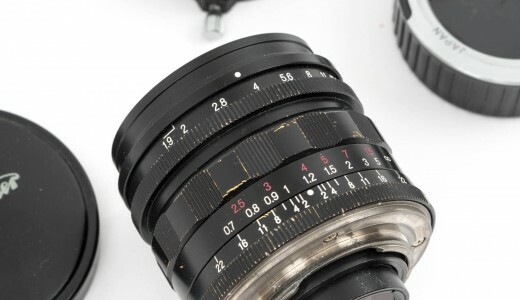 The Jupiter-8 is a more humble lens, built in Ukrainian factories but based on very early Zeiss Sonnar designs. The version I own is the PT3065 variant, which is the most commonly found version. These can be found anywhere between £10 and £200 depending on version and condition, although I would never pay more than £30 for one. Mine cost £25 in fairly good condition, and when it first arrived I dismantled it (which was easier than I expected) and gave the glass a good polish and the metal a good clean and lubrication. With the regular L39 adapter I’ve had no issues with rangefinder alignment on my 240, M10, or CL. 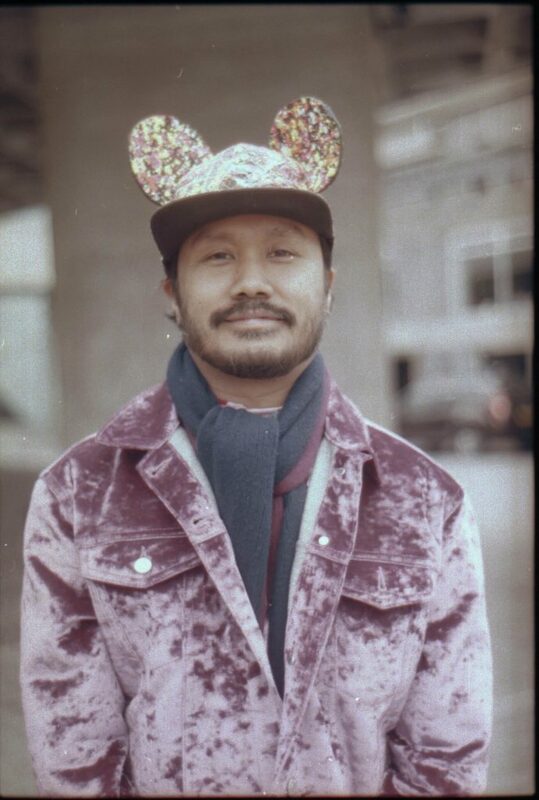 I very rarely remove it from my CL, so the results from this lens are mainly on film, aside from images specifically shot for this write up. Without getting too deep into the film vs digital argument the most noticeable difference between my images shot between the Zeiss and Jupiter, and my M10 sensor and the AGFA 400 film will come down to the saturation and contrast provided by the lens. 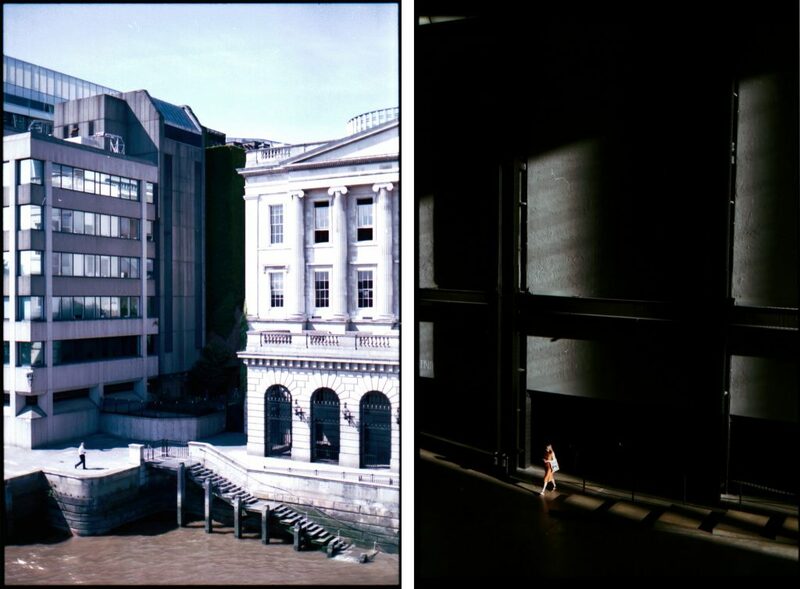 I try to do as little to my film scans as possible, so when comparing these images please keep that in mind! The Zeiss Planar is built to a very rugged standard, which can be said about most German manufactured optics. The focusing ring is smooth and precise, and I like the solid click of the aperture ring. I’m not too sure about the ability to work in 1/3rd of a stop, which I have never really used, but I imagine for landscape or studio work it could be useful. The Jupiter on the other hand is much less “strict” about the way it is controlled, with no clicks or tactile elements to let you know what aperture you are on, or where the focus lies. I have fixed a rubber “Taab” to each of these lenses, as I find it difficult to use any lens without one. I rely on being able to focus as I raise the camera to frame, and muscle memory can only be formed if there is a way to intuitively tell whether the focus is near or far. I’ve knocked the aperture ring on the Jupiter several times, so I’ve learned to always check exactly where it’s at before I click the shutter. This is a much slower way to work than I am used to, but for film work that tends to be a good thing. 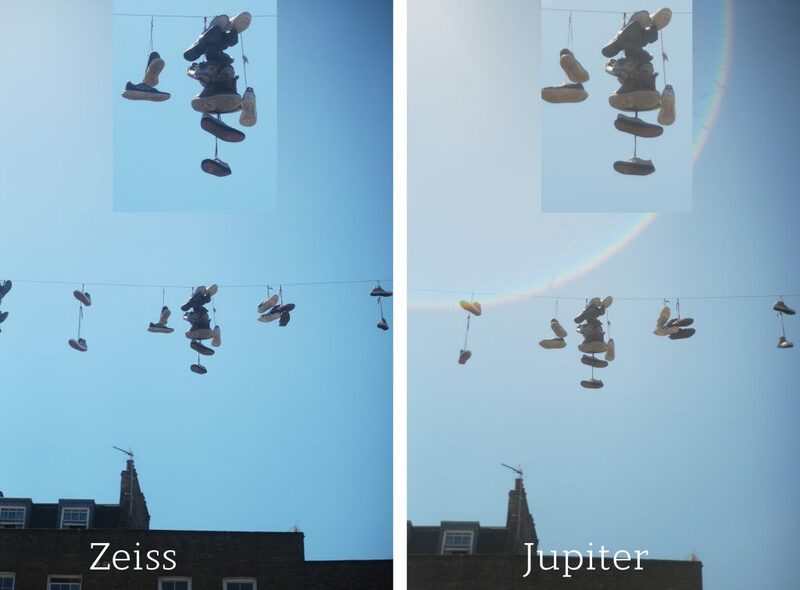 There are clicked versions of the Jupiter, but not mine. The focus throw for the Zeiss is ideal, and I have no trouble hitting moving subjects at near or far distances. The Jupiter is quite tricky, as the marking for 1m is fairly high on the ring, requiring at least two turns before it falls into place. This can be annoying for up close portrait work, as I tend to be quite close, and it becomes a chore turning the ring back and forth before I can be certain that my shot will look the way I want it to. Zone focusing on both is easy due to the standard markings around the lens barrel. I find that although in my mind I dislike the idea of 1m as a minimum distance for close focusing in practice I tend to frame a little further back, which makes it a non-issue. However I do like the convenience of the 0.7m minimum on the Zeiss, and for detail shots or close up portraits it is not as limiting as the Jupiter. Again, this can be refined by filing down parts of the internals of the lens, something I have not attempted. Both lenses are rangefinder coupled, although the Zeiss will be more accurate in most cases. That said, I’ve never missed a shot with the Jupiter due to poor alignment. The Jupiter fits snugly on my adapter, and I’ve never worried about it possibly unscrewing itself. Equally the Planar fits securely onto every camera I’ve tried it on, with no play or looseness. There are fewer elements in a Sonnar design than a Planar so the Zeiss is heavier although both lenses are very light, and much lighter than any of their DSLR counterparts. Both lenses are sturdy, but I feel more comfortable using the Jupiter in situations where myself or my cameras may incur damage. The price means that it can be easily replaced, and the aluminium shell will bend before it breaks (as it has done around the filter thread). 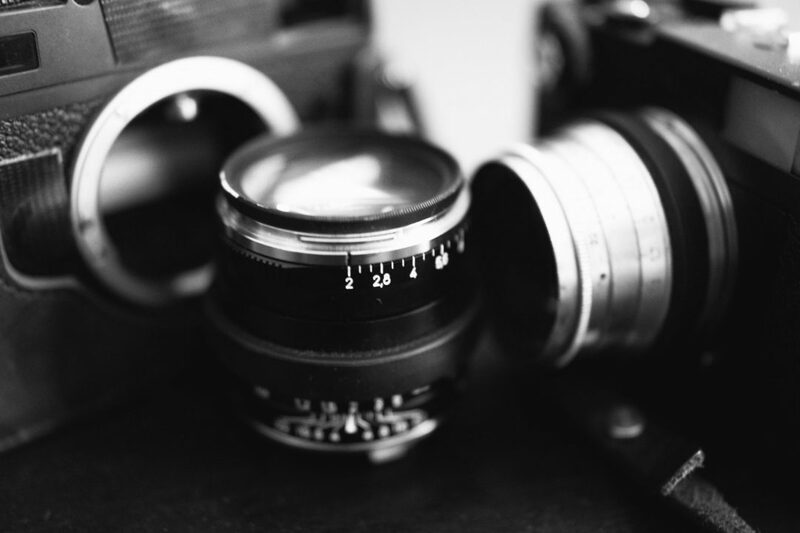 Both lenses have a maximum aperture of f/2, however Zeiss lenses tend to be rated by their T stop measurements which relates to actual light intake rather than aperture size. They are also more efficient at light gathering due to their famous T* coating. 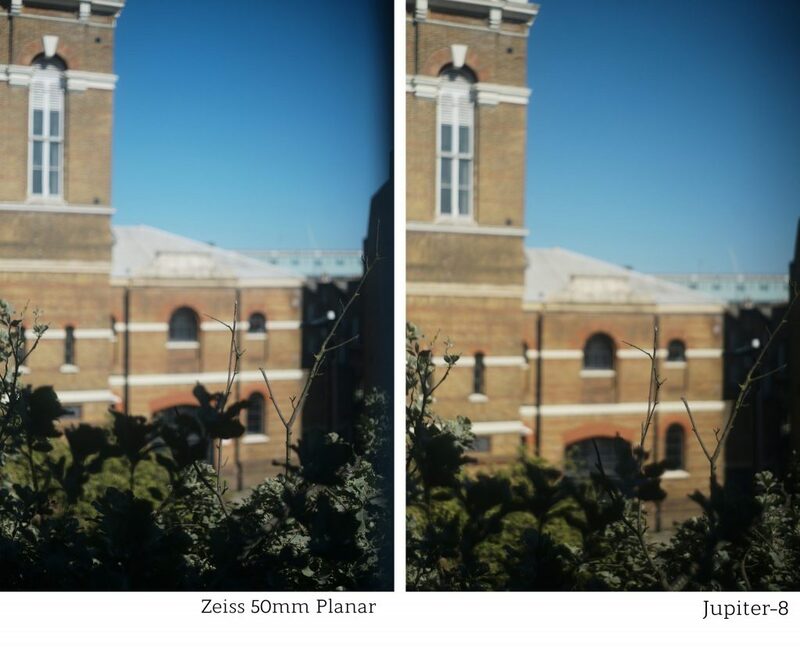 This means that at f/2 the Zeiss Planar will perform slightly better in low light than when compared to the Jupiter-8, and even other comparable f/2 50mm lenses. Colour clarity from the Zeiss is good, but as with any lens it will rely on correct white balance and the way the sensor or film renders for true scene accuracy. In sharpness the Zeiss Planar will outperform almost any lens on or off the market. It offers a clinical, precise rendering of the in focus area, with a rapid transition to bokeh. There is no competition between the Planar and Jupiter here. At all apertures the Planar beats the Jupiter for sharp images. 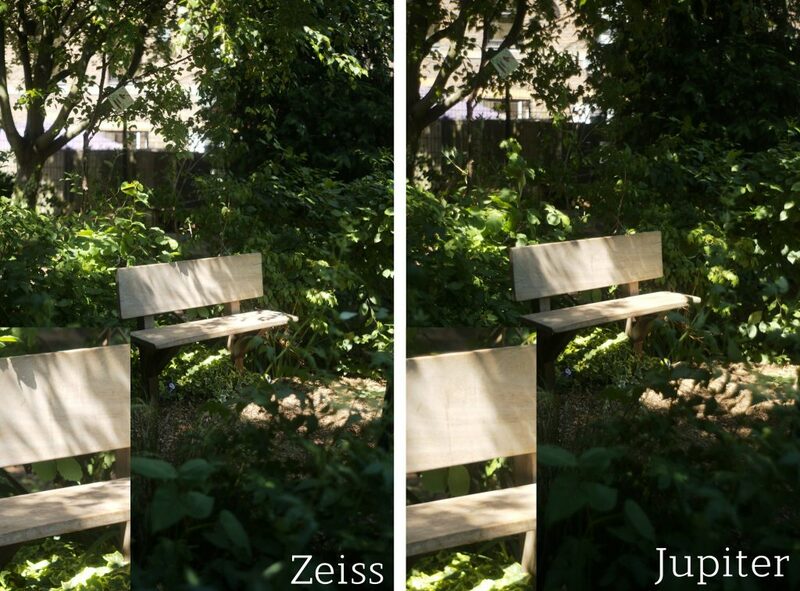 The Zeiss also offers higher contrast between colours, as well as good rendering between highlights and shadows within an image requiring high dynamic range. 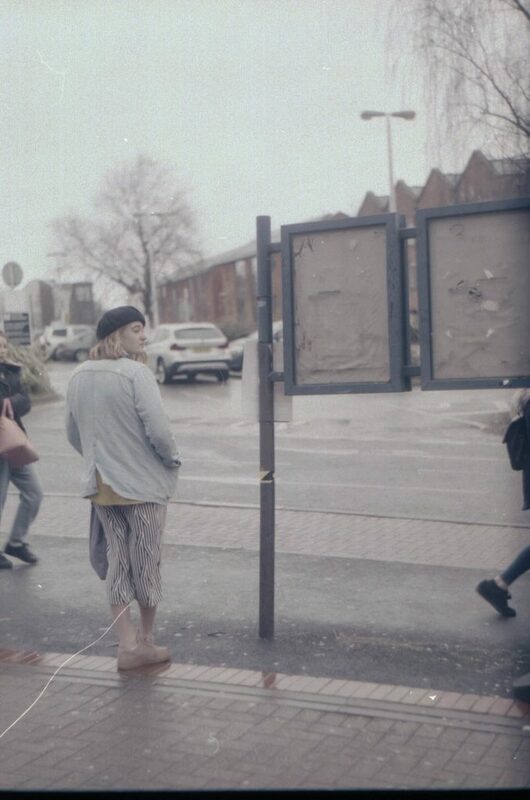 It picks up small detail that may be obscured in softness or shadow when photographed with the Jupiter-8. The age and origin of the Jupiter-8 means that there can be massive variations in quality even between identical models. As I said earlier, when I got mine I gave it a proper CLA before using it, and I would recommend you do the same if you are interested in using one. If not, then try and research and find the cleanest copy you can, and make sure that it performs to an acceptable standard to you – my lens performs acceptably for me, but others may look at the results and disagree. With that said, I think that the Jupiter performs excellently in the tasks I have used it for. On film I find my subjects to be acceptably and clearly sharp, with good classic contrast and a very nostalgic feel. 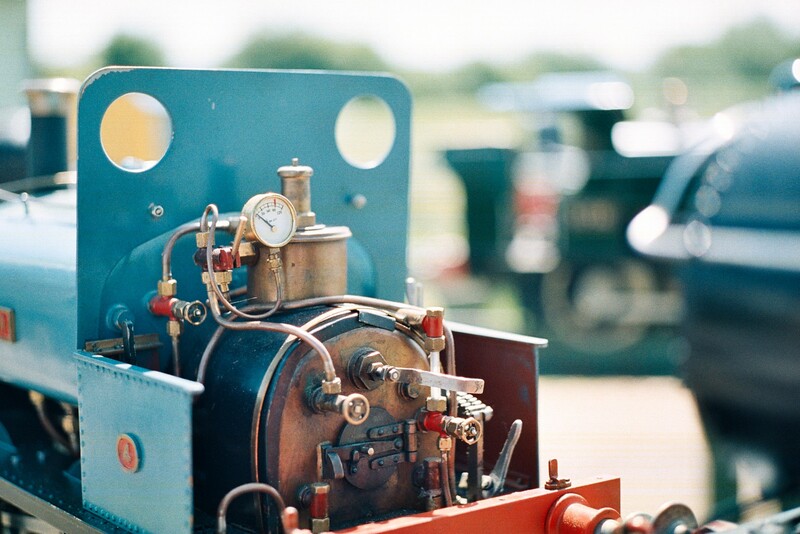 The colours are natural but muted on AGFA 400 which is what I tend to use as generic walkabout film. The few times I’ve switched out to the Planar on my CL I’ve found the images to be more clinical and less forgiving; colours are stronger, more saturated, and everything is noticeably sharper and more precise. 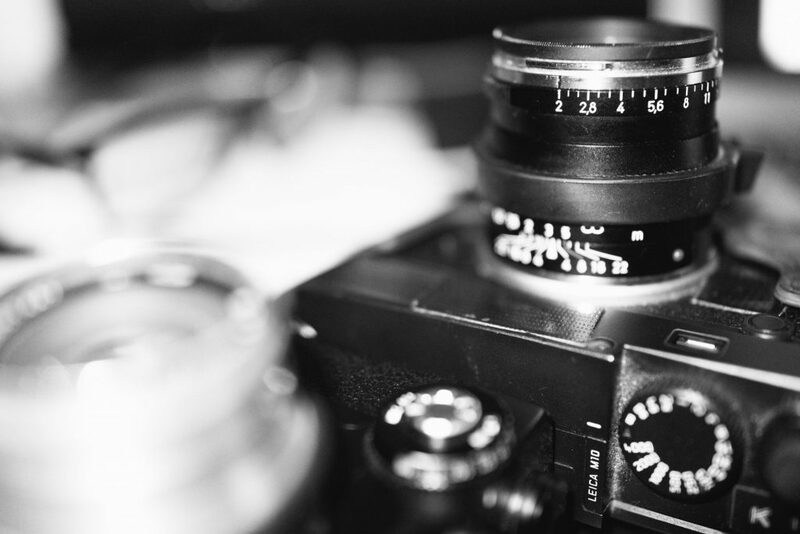 Shot digitally on any camera the Planar offers consistently reliable quality in every shot. Film is a malleable, flexible medium, whereas a glass digital sensor has much lower tolerance. As such, in my opinion, for a digital rangefinder the Planar is one of the best lenses available, but only for people who are very competent with the rangefinder system and are happy shooting wide open on a system they trust is calibrated. On a film body I’d much prefer a classic lens, with classic renderings to take advantage of the forgiveness film offers when you miss focus. 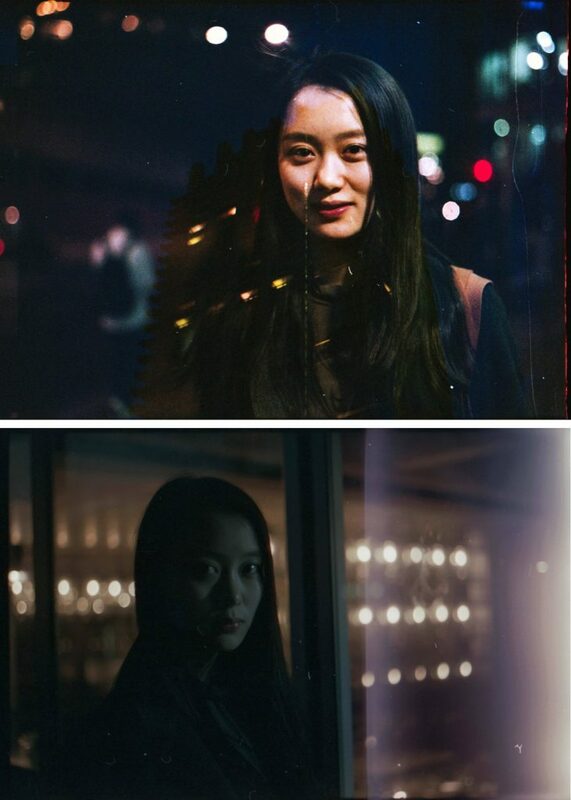 Images from the Jupiter-8 will have a nostalgic character, especially when paired with film. 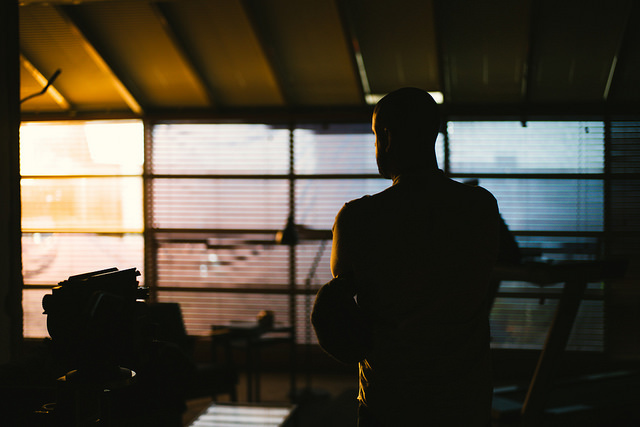 The transition between bokeh and in-focus is very smooth because there is less to transition between. Although the Planar is very natural the Jupiter’s overall softness means that bokeh is less intrusive across the frame. For portraiture the Jupiter-8 is an excellent choice, with very natural rendering of skin, which can be very flattering. Again, the sharpness of the Zeiss means accurate renditions, but often it can reveal pores and blemishes which may not always be the way you want your subject to look. I took these two images within 30 seconds of one another, so as to eliminate any possible change in the light or movement of the subject. It is as close a direct comparison between the image quality of these lenses as I can create, using a detailed foreground and far background to compare both sharpness and bokeh. Both images were focused using the live-view on my M10 with the branches dead centre as my focus point, and were shot at ISO200, 1/4000ths. A few more shots taken from the same spots with the same settings, with the M10, all at f/2. Unedited jpg files, just merged into a single image. No 6-bit profile set for either. I’ve tried to remain balanced between the two lenses. This has been difficult, because the Zeiss Planar is one of the best performing lenses I’ve ever used. However the Jupiter is very competent, and for every single glowing thing I could say about the Planar, the counterpoint in my mind is that the Jupiter-8 costs about as much as a couple of rolls of Portra 400. There really isn’t an excuse not to own one at the price, as a lens to experiment with, to abuse in harsh conditions, and to create characterful nostalgic images at all times. It is as versatile as the Planar with an M adapter, meaning it can be used on rangefinder or mirrorless with no issues. I feel like most people will be able to justify using the Jupiter as a disposable lens, for use in rain, or in crowds where they may worry about theft or damage. The Zeiss should be equally used of course, but with the care and consideration one should employ when using precision tool. It will produce modern looking images that will make everyone from clients to printers to pixel-peepers happy. I’m glad that I own both, and that I have had the opportunity to use them both enough to learn the strengths and shortcomings of each. I’d recommend both lenses to anyone, but would lean toward the Jupiter as an entry 50mm option to anyone wanting to spend their money on a Rangefinder and save for the lenses later – that way the Planar enters the scene eventually, but not before the limitations of the Jupiter have been felt out. If you still aren’t sure about the Jupiter-8 then I strongly recommend reading Hamish’s “Classic Sonnar Search” where he goes into far more detail than I ever could regarding the merits of the Jupiter-8 lens. Thanks for taking the time to read this! If you enjoyed my thoughts on the Zeiss Planar and Jupiter-8 you might enjoy some of the other articles I’ve written for this site, which can be found here. If you like my images then consider following me over on Instagram for a constant rolling feed of my best work! Thanks for posting this review. For my film camera I use a couple of 50mm lenses. The camera, a Contax 139Q that I bought new in 1981 came with a 1.7 Planar. Rather stupidly I sold this lens….only to regret it. To find another of the same quality, bearing in mind that this glass is close to 40 years old was not easy and I bought three before picking up a good quality one. There were issues with fungus and haze in the other two…although advertised as being “good”. Between times I too a Yashica ML 50mm 1.7 that I had owned for many years and used it in place of the Zeiss. To be honest there is very (underline that) little difference in colour reproduction or sharpness between the two and as for build quality then the Yashica wins hands down. Bear in mind that the Zeiss is in top condition has been serviced by Mark Hama…..and the Yashica ML is as it was the day it left the factory. Results? Far too close to call and like the comparisson between the Summicron and the Zeiss the only real factor is the price. Both of these lenses are superb and I will be sure and keep both of them this time around!! Glad you’re proud of the results from your lenses, hopefully you’ll not have to go through finding a replacement again! Simon, I’m going to have to be blunt – I simply don’t know what’s going on here. Is it the film? Lens? Processing? Scanning? Combination of one or all? Resizing/compression for the web? Or what? But the Jupiter images have to be some of the worst I’ve seen from this lens, and nothing like my own experiences. 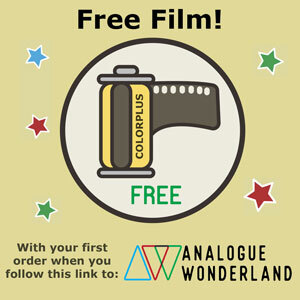 Although in my case I never used one with colour negative film. But I never had any issues with Ektachrome. Nothing is sharp, images are so de-saturated and soft as to make me think this may just as well have been shot on 50 year-old out dated film. So what’s going on here? Hi Terry! Thanks for the feedback. I think you are right to an extent that my film work leaves much to be desired. I’d be very open to hear your advice on achieving sharper scans! I’m currently using an Epson V370, and have loved the results personally. 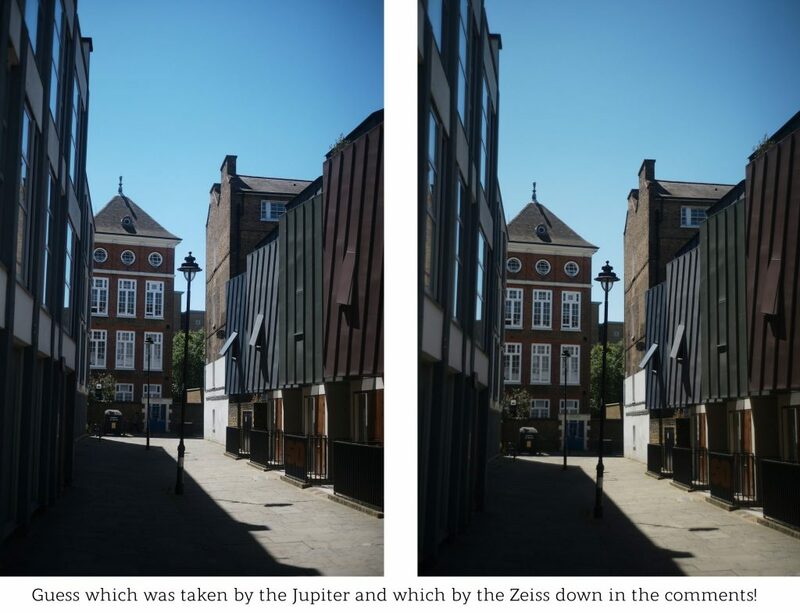 You are right that the image on the left is shot with the Zeiss, and I was careful to focus on the same spot with each – I hope that the sharpness and rendition of the Jupiter in my comparison images makes up for the lack-luster film results! Hope to do better with my next scans! I’m not familiar with your Epson V370, but by all accounts it is a capable performer within its price bracket, so I wouldn’t lay the blame for the odd film results you’re showing here at its door. I’ll come back to scanning later. Likewise, your Jupiter isn’t showing the strange colours when mounted on your M10, and even when shooting outdoors at f2 focusing doesn’t appear to be an issue either. So this leaves the Jupiter mounted on your CL (I’ve a sneaking feeling this could lead to focus issues close up) and film type/processing. The CL seems to have focusing issues with lenses other than for which it was designed, and can even happen with other Leica lenses, and with known register issues with Soviet L39 lenses, perhaps the issue is being compounded, especially with near field shots where focusing has to be more accurate. It’s a possible cause of your portrait shots not appearing sharp. Camera shake due to slower shutter speeds being another possibility, of course. Send the film to your lab for processing to reduce any errors attributable to home processing technique. 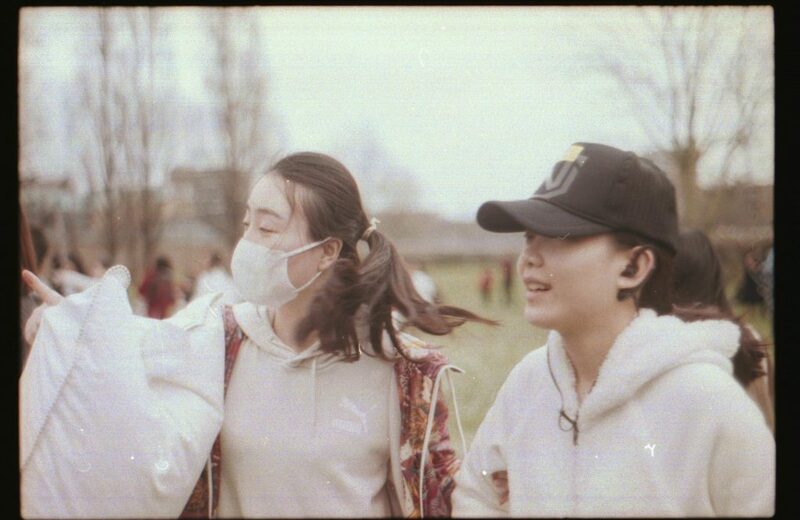 What you should get back, if the rangefinder coupling is fine, will be a series of images more than adequate to test your scanner. Also, to the point, will be if the images don’t turn out sharp, as you will then know there is a focusing matter that needs to be resolved. For the scans, turn off all automatic image settings, but if the software has INPUT sharpening, you should use this. This is not the same as later sharpening the scan in imaging software (which can, of course, still be employed). Obviously**, set the scan for negative b/w film, and don’t go mad with the DPI setting. The vast majority of flatbed scanners don’t achieve the high DPI claims made for them, so set the highest figure that represents the scanners native optical DPI, not the exaggerated interpolated figures that you may see. If you have a choice of bit depth go for the highest, although with b/w negatives I’ve found little point in anything higher than 16. (With colour, if your editing software supports it, go for 48.) Some scanners offer capturing and saving to RAW, TIFF or jpeg, but the penalty will be file size. Set whichever you’re happiest with. Scan, and see what you get. Also try different DPI’s as you will find the sweet spot of your scanner, and it may not be its maximum! I have the USAF 1951 Resolution target 35mm slide which confirms that the actual resolution of my Canon 9950F when set to its optical max. setting of 4,800 is around 2,400dpi true when scanning 35mm. **Try scanning a b/w negative as a positive b/w film and select the “negative” option in your imaging program. You may see a difference as this choice tends to preserve highlights better. Simon, this is a bit of a read for you, but I hope it has given you some pointers. Terry. 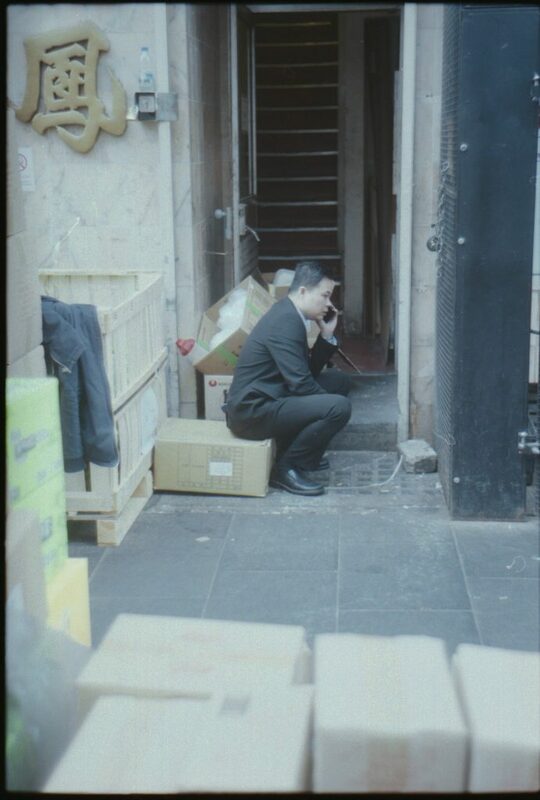 Fp4, chromogenic? I know you well enough to know this is a bit of brain fade – did you mean xp2, Terry? Hamish, aha, I can see your point. I should have been more clear when placing the comma between FP4 and “chromogenic”. What I intended it to mean (say) was FP4 or (a) chromogenic, but I can see that this is definitely ambiguous now that you’ve pointed it out. Brain fade, old age, or addled by our extreme heatwave? Or all three :D) Take your pick! Thanks for taking the time to write such a detailed and thought out response, there’s some really valuable information here which I’ll be sure to take into consideration. 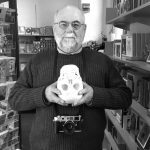 If you take a look at my article from Comic Con, I shot that on XP2 (a very sharp film!) and the CL/Jupiter setup, and I found the results to be very nice indeed, but also similarly sharp to my results here, so I don’t know that the rangefinder is at fault at all. I’ll have to keep finessing my approach, and your advice is a great starting point! Simon, just been over and looked at your Comic Con submission again and this would discount there being a r/f coupling issue. I’m assuming your cla on the Jupiter predates this shot, so there is clearly not a rangefinder coupling problem. However, I’m not seeing in the images here the same degree of sharpness, that you claim, that is clearly evident with the Comic Con images, inspite of the very noticeable grain, which is put to excellent effect. Given the sharpness of the image with the guy in the leather holster outfit, why isn’t this reflected in the two images above of the two guys in roughly the same proportionate pose? These two images definitely lack the noticeable sharpness of the b/w images. If you did the Comic Con scans on your Epson, it seems that we have eliminated the lens, CL, and scanner (possibly) as the sources contributing to what I see with the film images posted here. 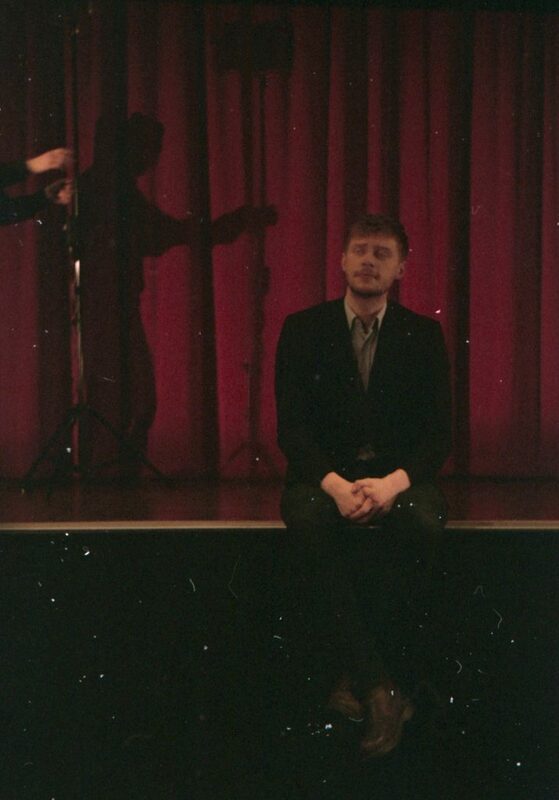 Now we are left with the film/processing question, but as this is a colour film, the scanner isn’t off the hook quite yet, but not for any inherent defect, per se, but possibly because of settings you used in the scan. The problem for any scanner is the orange mask of colour negative films and this is compounded by its colour, ranging from a light’ish yellow to a quite deep orange, and without film profiling this can influence the results from a scanner. In simple terms the scanner has to “subtract” this mask from the film to arrive at the recorded image. Some imaging software has film presets to make this task easier. Oddly, the scanner software that came with my Canon 9950F doesn’t have any selectable film presets, but it is not influenced at all, or doesn’t seem to be, by the noticeable differences of the mask of films I’ve scanned. I’ve no idea how it does it, but it saves me time. 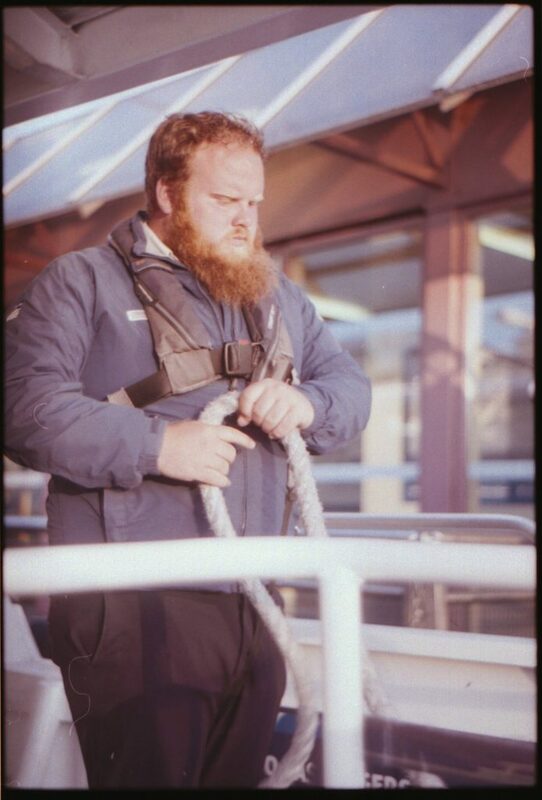 When testing a scanner for colour accuracy, it is far more important to have a good reference negative to start with. 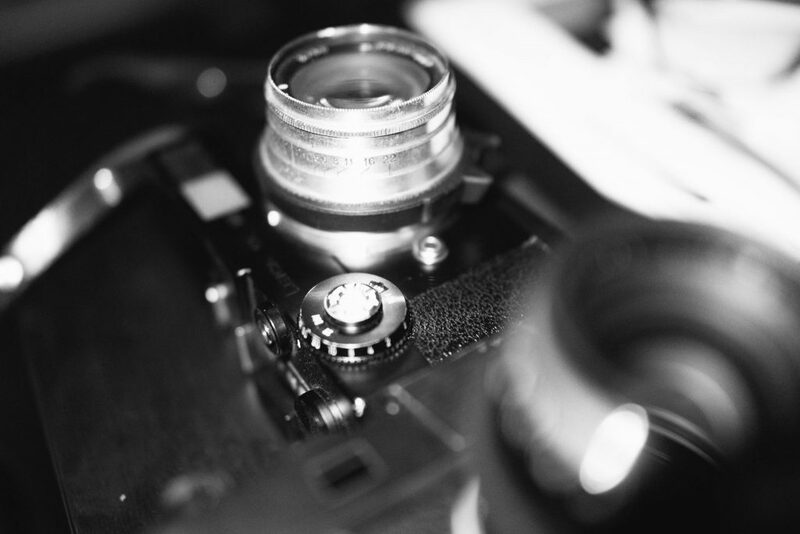 You’ve developed a style in which you push a film’s envelope, so without being derogatory in any sense, these images are probably not best suited when you want to test equipment, and for which it is necessary to have a neutral starting point. If you wish to know how your scanner is performing, or indeed if any other scanner would suit you better, you need a standardised testing procedure. So perhaps a little time out with a quality film, not a Poundland variety, and spent taking everyday images at its nominal speed rating with your sharpest lens, in good weather, will give you a series of images against which to test the scans from your Epson. Just be aware that use of grain reduction or spot/scratch removal will result in softening the scan image to varying degrees depending upon the strength setting used. Thanks again for the analysis. Looks like I’ll be spending a lot of time calibrating my colours for greater accuracy! I think that may be the most likely solution! Very interesting and timely article Simon, thanks. I have been looking at the Jupiter 8 again after I played with one from a friend in my Fed4 and pitched it against the Industar it came with. Now I’m also shooting Sony mirrorless I’m lookikg again. So thanks. Glad you found it useful! Best of luck with the Sony! Nice write-up. I’d be interested in how you came to be shooting portraits of Sylvester McCoy. I enjoyed the article and the timing of the posting. I like the look of the photos taken w/the Jupiter, but I don’t know I’d make it a prime optic for all my work. I’ve got a love/hate relationship with the 50mm focal length. About 3 years ago, I shot for an entire year with a 50mm ‘cron on my M2. I had hoped for some moment of epiphany during the year, but it never happened [I sold the Summicron the following year.] The funny thing, however is that I also have a Nikon FE2 fitted w/a 50mm f/1.8 pancake lens and I have no issues with that kit. It’s just working with the rangefinder. I currently use the wide-angle brother of the planar: the 35mm Biogon f/2.0 zm. The Zeiss lenses are just so nice to work with. If I do succumb to the charms of the 50mm, I’d get the Planar. BTW, I did enjoy your pics of ComicCon w/the CL. Thanks Daniel! I agree, 50mm is odd especially considering its popularity. Really a personal decision. Hope you’re enjoying the 35, I own that lens as my only 35mm and really like the results! Glad you like my work, I appreciate it! Thanks for the write up, Simon. The paired images you showed are surprisingly similar. I also appreciate Terry B’s posts. One comment: I’ve never understood the idea of having a ‘disposable lens’ that you supposedly don’t have to worry about getting rained on or stolen, as you say. Unless you’re using it on a really cheap non-Leica body, I’d be much more worried about the Leica body that it’s attached to which is worth hundreds or thousands of dollars/pounds. Thanks Tony! I agree that most disposable things ought to be treated well, but I feel that when I travel, or shoot in a rough situation/area, it can be very liberating to have gear that I care less about – it’s always good to at least have the option in parts than worry about everything at once! Worrying about getting a camera wet in the rain, many years ago now I got hold of a Canon waterproof film camera, the A1 (not to be confused with the slr) and as this looked more like a Fisher-Price toy I reasoned it wouldn’t get stolen either. Sadly, I never did get round to using it as intended, but I do wonder now what looks I may have gotten seen with it in the pouring rain!